You know how it feels to take the leap without a safety net. To charge full steam ahead toward your goals. But what if creating a freedom-based business and lifestyle didn’t have to be so hard? … running a business didn’t feel like a shitstorm? … you didn’t dread talking about money? … you didn’t get punched by guilt and self-criticism whenever someone asks what you do? … when the fear showed up you had a system and sisterhood helping you dance in the rain? Enter Coaching Leadership Mastery: a group coaching program that takes your life and business to a whole new level of being. I designed this program to fuel your success with a blend of community and adventure. 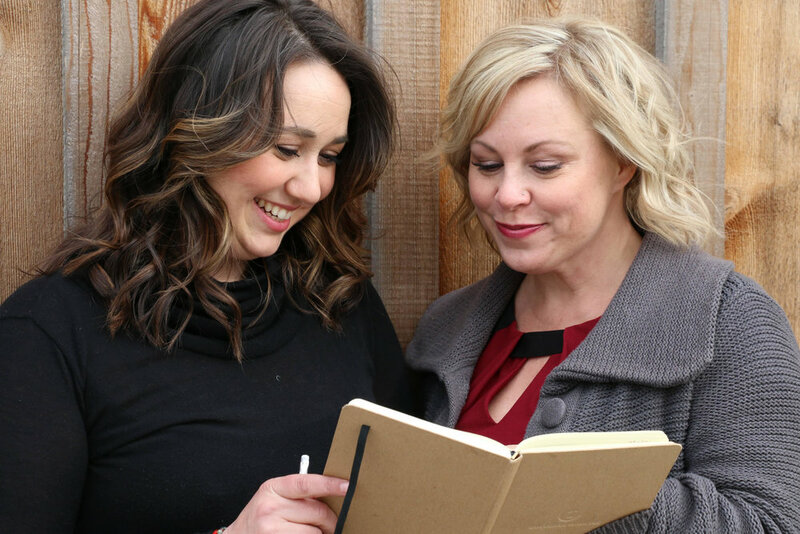 You get hands-on guidance for growing your business, radical travel adventures, and immersive support from a small mastermind of purpose-driven women like you. This program works because it requires you to be 100% committed. An accelerated wealth consciousness practice. Invite in more ease and abundance of wealth in just 33 days! A comprehensive financial plan. Level up your income by getting clear on money you have, the money you want to bring in, and building a tracking system for your finances. Laser-focused coaching calls. Bust through your roadblocks, stay on track, and connect with your mastermind sisters during group calls that include personalized coaching support. Ongoing action and growth reports. Hold yourself accountable, reflect on your choices, and receive specific feedback from me to ensure that you are progressing and getting closer to the life + business you want to live. 1:1 strategy development. Discover exactly where to spend your time to maximize results and run your business in a way that feels efficient and joyful. Ongoing expert support. Elevate your business, spirituality, and success with insights and personalized help from me and my trusted circle of speakers. Live retreats at gorgeous cities around the world. Catalyze your growth with exploration intensives that galvanize your business practice, strengthen your sisterhood, and create memories that far exceed our time together. This is how you create a fulfilling, sustainable business—while building a lifestyle that supports who you really are. I am happier and more settled than I have ever been!! When I first started to work with Michaella, I was completely burnt out from my job and life in general. I had no direction, too many ideas, and was turning in circles—not to mention the immense feelings of ‘not enough’ that had followed me for a lifetime. Michaella has such a gift. Her level of expertise mixed with her ability to read behind the ‘mask’ is unlike anything I have ever experienced. Within six months, with support from Michaella and the amazing group of ladies she so skillfully put together, I am moving towards a new and exciting career. I am so confident in how to obtain the life I have always desired. The skills I’ve gained will follow me for a lifetime, as will Michaella’s loving, compassionate voice in my thoughts. And the friends I have made will be my tribe for life. What can I say other than life-changing! Having the support, love and genuine care from this group has given me opportunities to try new things and grow my business in ways that I couldn’t imagine prior. Before I’d wait for someone else to send me clients, and I was getting some doozies—clients who didn’t really want to change or wanted someone else to tell them how to do it. Now I go out and make connections with other people and bring them in myself. About halfway through the CLM, I decided to walk away from a $13,000 partnership because I realized I was being kept in a box with my coaching. I could have done it, but it wouldn’t have been my best—and I want to do coaching that would change a person’s life. Because of what I learned through the group (to trust myself, that I am enough, that I do have all of the answers I need, to grow my connection spiritually), I was able to walk away and not look back. Imagine having a group holding and lifting you up whenever you felt down, encouraging you to try things out just to see, to follow where your heart in leading you. That’s what I got and I wouldn’t trade it in for anything. My income has grown exponentially and with ease, but honestly that is the least spectacular part of my experience working with Michaella. When I first met Michaella, I was earning way below my worth and struggling with many fears (including fear of success, fear of being seen and a general unknowing of exactly how to make my business successful). I entered CLM experience with a simple goal—to grow my business and make more money—and I got SO much more than that! Within weeks I'd earned more than the cost of my investment (which was a flippin' big deal for me! ), and I was growing in ways I had no idea were possible. At the end of six months, I fully understand what it is to be at peace with myself and my life, AND I did it all whilst traveling to beautiful places, spending time with amazing women (because Michaella has great taste in clients!) and having so much fun. Now I have a business model that works for me, a way of working and being in the world that supports me to show up in the greatest way possible, and the confidence and inner knowing to actually DO IT. I have grown financially, emotionally and spiritually, and all of that growth has impacted my business, life and relationships in profound ways that are bringing me a lot of joy. Working with Michaella has been one of the most fun, life-changing, completely amazing, magical things I've ever done for myself. I'd have to write ten pages to fully express this amazing experience. I have been coaching with you for one year, and in that time my life has changed dramatically. I am now fully self-employed in a career I love. My marriage has improved in ways I once never thought possible. Best of all, I am able to count on myself for support and succor. The CLM experience took me out of my comfort zone repeatedly—but in a safe way. I found myself doing things that I have steadfastly avoided in the past, such as travelling and speaking in front of professionals at the highest level. The best part about the CLM, was the permission, expressly and tacitly given, to love with all our hearts; to open ourselves, our hearts, and our spirits. For someone with an active mind such as mine, this was profound. I recommend you to anyone who is ready to take the proverbial bull by the horns and dive deeply into themselves in order to create the life they want. I never thought I would get this far! A precious adventure I would live all over again if I could. These past six months have been a 'Peak Experience': fun, challenging, surprising, loving, demanding, and memorable. Of the 12 goals I set for myself at the outset of the program, I met or exceeded 10 of them. (The other two I recognized along the way as being unimportant.) These included inner goals like 'increase my confidence' and outer goals like 'earn enough money to take my family on a trip to somewhere warm for Christmas'. Check and check! My income went up 30%—even more than I could conceive of as the farthest reach when I first signed up for the program. I learned techniques for bringing new clients into my practice, upped my game considerably as a coach and therapist that upped my game considerably, and moved a fair bit of my inner baggage out of my own way. Going in, I had a strong sense that I would love it because I knew Michaella to be so good at what she does. What I did not anticipate is that now the program is officially finished, I have enough material and connection with my fellow CLMers to keep me on the path for many moons to come. Joining this group has forever changed the trajectory of my life as a professional, a coach, a woman, a daughter, a sister, a partner and friend. Before joining the CLM, I was struggling with my confidence and trust in myself. I had recently finished my health coaching certification program, and I wanted to create a successful coaching practice fast. Little did I know, I needed to slow down. With the safety net of the CLM around me, I was able to create an awareness of what was no longer serving me, express gratitude and grief when appropriate, and begin to imagine and create a new way of being for myself. I learned a lot about wealth consciousness, mindset, leadership, coaching and self-mastery. But the most important thing I learned about was about how and why I was keeping myself small, giving power to my fear, and keeping myself stuck. What an incredible gift to be given six months to explore, learn and grow in the company of supportive and loving women on a similar path and journey as you. The sense of love and community I felt from the women in my group allowed me to be courageous and try out new ways of doing and being in my life and with my work. I am a different person now, living a very different life than when I joined the CLM. I am softer and living with more ease. I have more confidence and trust my intuition more than ever. I operate from a growth mindset more often than not. I am more adventurous. I am more easygoing with myself and others. I am enjoying my work and my life more, all while making more money in less time and having a greater impact with my business. I created this program because I believe you deserve to wake up excited every day. You deserve to fill your practice with energizing, inspiring, high-paying clients who bring out the best in you. Most of all, you deserve to live out your days fully immersed in your life—learning and growing and savoring the bliss of freedom. Curious about taking this journey with me? the newest adventure begins September 2019.